Hearing the phrase “I slept really well last night” is about as rare as seeing a roller skating polar bear in your local grocery store. Getting a good night’s sleep can be tough. Our daily lives are bombarded with responsibilities that seem never ending. Without it our bodies can’t heal, and our mental, emotional, and physical health will suffer. The 10 methods listed below may help you fight insomnia on your journey to restful sleep, by improving your sleep hygiene. Your sleeping space should be a safe haven of sleep. Being mindful of the items you choose for your space can either improve your sleep, or have an adverse effect. When you look around your sleeping space, ask yourself these questions: “Does this space invite me to have a restful sleep?” If the answer is “no”, a few changes will do the trick. How we sleep can depend on the kind of products we purchase. If your mattress isn’t as comfortable as you’d like it to be, try adding a mattress cushion. They come in a variety of firmness levels to suit your comfort needs. If the cushion isn’t helpful, a new mattress may be necessary. Find pillows made for how you sleep at night. Similar to your mattress, pillows come in firmness levels and designs based on how we sleep at night. If you sleep on your stomach, back, or side, there are pillows designed to suit your needs. Body pillows, cooling pillows, etc, are also helpful addition to your restful night’s sleep arsenal. If you find yourself waking to either add or remove bed covers from your body, you may need to adjust your room temperature. If you have the option of adjusting the temperature in your room, experiment to find what allows you to sleep comfortably during the night. Thick and lightweight sheets and blankets, and cooling pillows make a huge difference. Also, consider your sleepwear and how it affects your body temperature. A dark room is conducive to achieving optimal sleep. If you live in an area with alot of outside light pollution, blackout curtains are a great investment. Once closed properly, outside light doesn’t stand a chance of seeping into your sleeping space and disrupting your sleep. Nightlights are another nuisance responsible for poor sleep quality. A study by the Cleveland Clinic found that, “… levels of melatonin, a sleep-promoting hormone, rise in the evening. Exposure to light delays the release of that hormone,” causing poor sleep quality. For an added step, a sleep mask can also provide an extra layer of protection to block any remaining light in your room. We all have varying tolerance levels when it comes to the amount and kind of sound that lulls us to sleep. For instance, right before bedtime, I listen to the sound of the ceiling fan chain clicking against the light. It relaxes me before I fall asleep. If you aren’t sure of what may work for you, try experimenting with different kinds of sounds – ambient music, white noise, waves crashing, etc. Eventually, you will find the sounds that put you in a state of relaxation. You may find that a space void of sound helps you sleep. In this case, earplugs may become your best friend. Your bed is not a social media hub, an office workspace, or home theater. One of the reasons for poor sleep quality is the use of social media, electronics, and watching TV while in bed. Because of the kind of light emitted from these devices, the body tends to remain awake longer. In a study by the American Academy of Pediatrics, children and adolescents are most affected by electronic use at bedtime. A good practice for healthy sleep hygiene is to turn off all electronics, and stop using social media approximately one hour before going to bed. A really important step in improving your sleep hygiene is understanding your body’s circadian rhythm. The CDC lists its recommendation for the number of hours of sleep a person should receive each night. As we age, our circadian rhythm will change. The CDC’s recommendations aren’t rules that need to be followed exactly, as everyone is different. You may need more, or less sleep than what is listed. However, the list provided by the CDC can be a helpful guide when trying to figure out the amount of sleep our body needs. Knowing your needs will enable you to better follow the cues your body provides for both going to sleep and waking up. Your sleeping habits can become more balanced, especially when you stick to a schedule. Whether you’re a “night owl” or a “early bird”, knowing your natural sleep rhythm, will work wonders. Now that you understand how much sleep your body needs to function at its best, it’s time to create and maintain a sleep schedule. Every night and every morning, you need to fall asleep and wake up at the same time. This also includes weekend, when reasonable. This can be a very difficult task when we consider all of the responsibilities that occupy our daily lives. But if you stick with it, your sleep quality will improve. Your body will become accustomed to your night routine and recognize when it’s time for bed. Buy you must work to keep the same routine. Create a calming ritual that will help you fall asleep smoothly. Meditation, reading a book, a hot bath or shower, or anything you find relaxing is a great way to prepare for bedtime. Remember, no electronics and social media too close to bedtime. Going to bed hungry isn’t the best idea for a restful sleep. Rather than having a heavy meal before bed, a light snack of food high in tryptophan are recommended: poultry, fish/crab, spirulina/seaweed, spinach, bananas, dates, eggs, oats, pumpkin seeds, and sesame seeds to name a few. Tryptophan is an essential amino acid needed for the growth and development in the body. It produces niacin and creates serotonin. Serotonin is essential for healthy sleep, and mood stability. A wide range of herbal remedies like teas and sleep supplements that can assist with sleep issues are available. 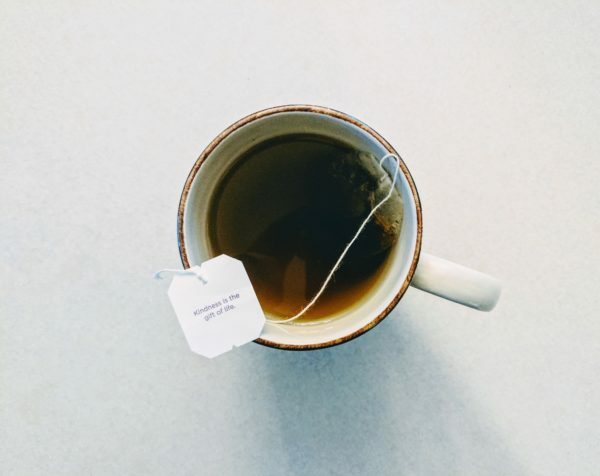 A few fan favorite tea are passion flower , lemon balm, ashwagandha, chamomile, lavender and valerian root. While a few of these have sedative properties, they have have also been shown to help soothe feelings of anxiety and depression. Feelings that can impede healthy sleep (and healthy life!). If you prefer supplements, magnesium and melatonin are a great start. The effects may not be as immediate as drinking teas, but they can still be just as effective. Part your lips. Exhaling completely through your mouth, make a whooshing sound. Close your lips, silently inhaling through your nose as you count to 4 in your head. Then, hold your breath for 7 seconds. For 8 seconds, make another whooshing sound while exhale from your mouth . When you inhale again, a new cycle initiates. Do this pattern for 4 breaths. Sometimes unfinished chores that cause a space to become cluttered can create anxiety that interferes with your ability to fall asleep and stay asleep. In addition, all of the tasks we’ve left undone can weigh heavily on us. If you recognize clutter as a source of sleep interference, it’s a good practice to organize as best as you are able before trying to sleep. Seeing a more organized space could help improve your mood, allowing for a better night’s sleep. Whether you do this alone, with a partner, or partners, having orgasms before bed has been shown to promote a better night’s sleep. However, a few hormones associated with orgasms – oxytocin (love hormone), serotonin (happy hormone), vasopressin (stress reducer) – all work in tandem with other to reduce cortisol (stress hormone) and create a calming effect. The result is typically a more rested sleep. There isn’t a huge amount of research related to this subject. However, a few in-home research experiments may prove fruitful. If you have done your due diligence of trying to resolve your sleep issues and treat insomnia and have had no luck, seeing a doctor should be next on your list. There are a number of sleep disorders that require more than just over-the-counter sleep aids. Disorders like sleep apnea can lead to serious health issues if left untreated. Whether it's therapy, sleep medications, or medical equipment, a doctor may be able to provide you with the necessary medical expertise to guide you to through the best course of action. What helps you sleep through the night? Share with us in the comments. Turmeric lattes are wonderful too.